Rain, rain, and more rain. For the past two weeks, Kansas has seemed to get all the rain it needed these past two months. We went from a drought, to some areas having flood warnings. Temps have also been relatively cool staying around 70-80 degrees. Because of this, we haven't really seen harvest kick off. 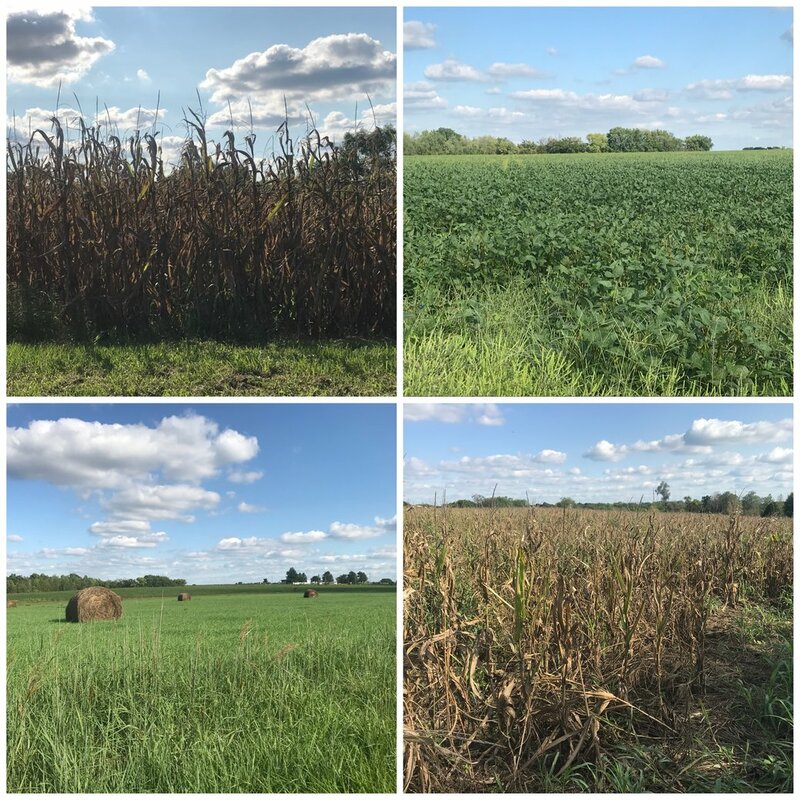 The few farmers who did run some corn were seeing yields ranging from 30-100 bu/acre (keep in mind that the average around this area is usually 140-160 bu/acre). Aflatoxin results also haven't been as bad as we expected with only a couple farmers having high results. This is great news as we were expecting the worst. Soybeans, on the other hand, are still pretty green, although you can see some fields just starting to change. It will be interesting to see if these rains helped at all with soybean yield. This week is supposed to be back in the mid 80s with sunshine every day, so we are hoping this allows farmers to get back in the fields! 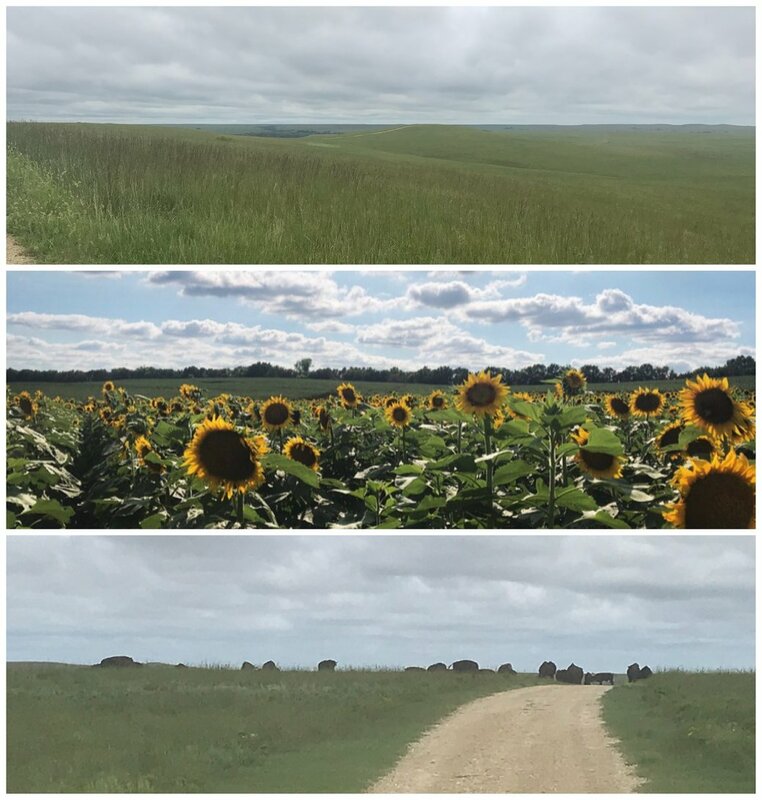 For anyone who wants to visit Kansas and see the great outdoors, I would recommend visiting the flint hills! Known for its rolling hills and prairie grasslands, the flint hills are a sight to see. Just this past week, I was able to take a 6-mile hike to see some bison that roam the prairies, and it was pretty neat! (even though I had to wait about 20 min for them to get out of crossing and still ended up taking the longer way around.) I was also able to visit Grinter Farm's sunflower patch which hosts thousands of visitors every year. Enjoy the pictures!